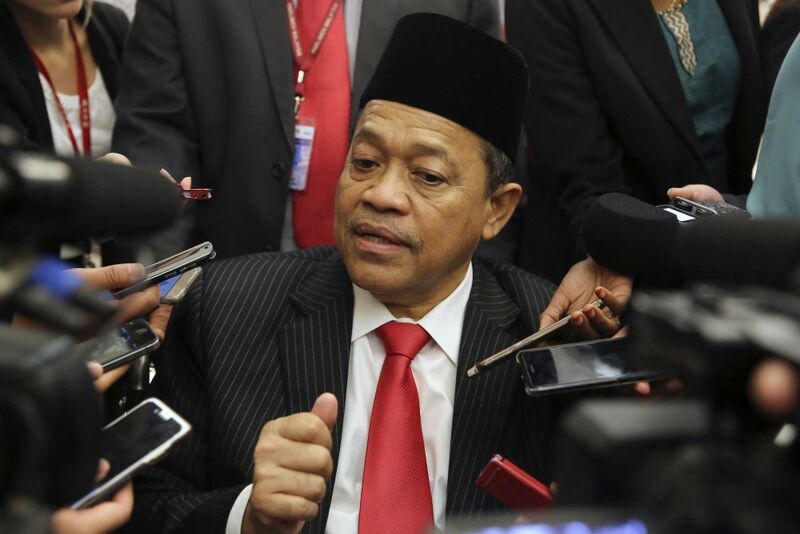 KUALA LUMPUR, Nov 12 — Umno lawmaker Datuk Seri Shahidan Kassim was today charged with molesting an underaged girl in Perlis, weeks after allegations broke. The indictment took but a moment. The Sessions Court in Kangar, Perlis allowed him bail at RM25,000 in two sureties, Berita Harian reported on its website. If convicted, he will be facing a jail sentence of not more than 10 years and whipping. Shahidan’s son and son-in-law, Ameer Shafiq Shahidan and Muhamad Lukman Abdul Rashid acted as his guarantor for the case. It was reported that the court compound was filled up with Shahidan’s supporters. The former Perlis Umno chief was seen arriving at 8.20am, accompanied by his wife and two unidentified women. Based on the charge sheet, Shahidan was charged with sexual harassment by touching hands to the shoulders of a 15-year-old child in a Toyota Harrier car at the edge of the Tuanku Syed Putra Stadium at Kangar at 11.30pm on Oct 20. He was represented by three lawyers comprising of Thalia Rohaina Abdul Latiff , Syed Muhammad Anwar Syed Lokman Hakim and Zuhair Ahmad Zakuan. DPP Mohd Nordin Ismail prosecuted. The case is up for mention again on January 8. Shahidan has denied the charge and said it was all just a “misunderstanding”. He had also said that the police report lodged against him over the case had been withdrawn. The father of the girl also reportedly stated that the matter had been amicably “settled” and the family had decided that there was no need to “blow it out of proportion”. However, police said investigations must go on and any understanding reached between the victim’s family and the politician was not related to the police. Shahidan went to Bukit Aman national police headquarters in Kuala Lumpur on Tuesday (Oct 30) and was grilled by investigators from 9am till about 4.30pm.